"In Memory of Major Robert Gregory"
All, all are in my thoughts to-night being dead. Yeats is obviously troubled as he makes the trek up the stairs in the tower to go to bed. Thoughts of deceased friends race through his head, and as a result, he becomes fixated on death. The symbol of the tower in line three is significant. 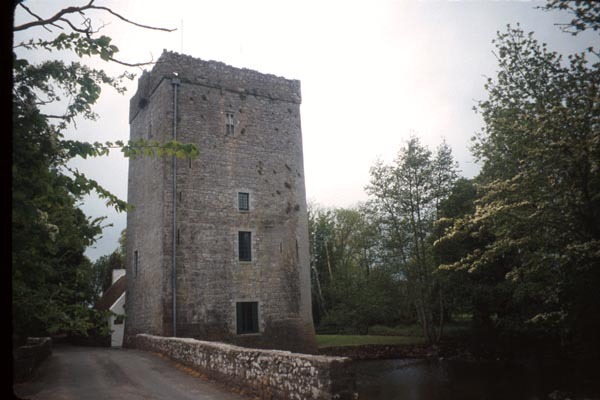 With Robert Gregory's help, Yeats had planned to restore the tower. Yeats saw it as "...a setting for my old age, a place to influence lawless youth, with its severity and antiquity." The phrase "almost settled" in the first line alludes to how Yeats had only been living in the tower with his new bride for three months when Robert Gregory died. In line seven, he recalls images of boyhood friends, all of whom are now dead. The caesura in line eight shows how he is overcome with grief. The sound the pause produces makes the reader think that Yeats is scrambling to put his words together, suggesting his torrid emotional state. For all that come into my mind are dead. In this stanza, Yeats wants Robert Gregory to meet his old friends in heaven; Yeats believes Gregory would enjoy being in the company of Yeats's deceased friends. There is an image of putting salt in a wound in the third line of the stanza, making the reader think about the pain which Yeats is enduring. Yeats repeats the word "quarrel" to convey to the reader that even if he wanted to get into an argument with a friend, he could not, because the only ones he can remember are dead. The repetition of "dead" at the end of the first two stanzas confirms Yeats's fragile state of mind.